Mr Dennis King is a consultant Urologic Surgeon based at St John of God, Berwick, The Alfred, Cabrini Private and Epworth Eastern Hospitals in Melbourne. He is an Adjunct Senior Clinical Lecturer. He trained in Urologic surgery in New Zealand and Australia. 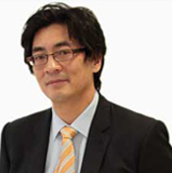 He was awarded a Fellowship in Urology from the Royal Australasian College of Surgeon in 2002 and full membership of the Urological Society of Australia and New Zealand. Further post fellowship training was undertaken with a urological cancer fellowship in Oxford (England) in 2000 and a laparoscopic surgical fellowship in Basingstoke (England) 2001 and then training in robotic surgery in Los Angeles (USA). He has performed over 450 cases of robotic prostatectomy surgery since 2004. Mr Dennis King has a special interest in robotic and laparoscopic surgery for prostate cancer, kidney cancer and renal transplantation. He has published, presented and mentored other surgeons in these procedures.